The FBI reports that a car is stolen every 23 seconds on average. It takes less than a minute to steal most vehicles successfully, and car thieves are getting increasingly sophisticated with their methods. As car technology advances, the technology to steal it also advances. Traditional car alarms are not overly effective anymore because people are so used to hearing them go off accidentally that the general public doesn’t even look over at a car with an alarm activating anymore. However, tracking systems, passive immobilizers, and personal alarm pagers all offer high-tech alternatives or add-ons to the traditional alarm that make your car much harder to steal and easier to recover. The passive immobilizer system features an ignition key that has a microchip in it. The ignition requires that chip in order to turn itself on. Without the ignition key, it is therefore very difficult for a car thief to steal your vehicle. The system is becoming more common in recent years, and it has been proven to reduce theft rates. However, the system can add to the overall cost of a car. On the other hand, you can get a break in your car insurance rates thanks to the presence of an anti-theft device. The biggest drawback to a passive immobilizer is the fact that you need to go to a dealer to get extra or replacement keys, and they are much more expensive than getting a normal key copy made. The extra security comes with some inconvenience, but it’s an overall small price to pay if it helps ensure your car will still be there every time you come back to it. Personal alarm pagers work in similar fashion to a car alarm, minus the actual “alarm” part. Instead of activating a siren when the system thinks someone is breaking in, it sends an alert directly to your cell phone so you can check the vehicle or notify the police department. This is useful because you don’t have to be in “hearing range” to learn that your car alarm has activated. Check the specific model though, because some of them still require you to be within a few blocks of the car for the system to work. Others come with an alarm as well to try to startle a potential thief away. It typically costs several hundred dollars to get a personal alarm pager installed, so check with your auto insurance provider to see if any rate decreases are available as a result that would help offset the cost. Tracking systems have become more common in vehicles as the technology has decreased in cost. Systems like LoJack and OnStar have GPS-based equipment in the car that allows the respective companies to track its location in the event of a theft. Not only does this aid in the recovery of a stolen vehicle, but it also works as a deterrent because thieves are less likely to target vehicles they know have tracking systems installed in them. Some even come with collision detection that notifies the company in the event of an accident in case you need emergency services. The systems are still usually more expensive than their other anti-theft counterparts, but not as much as they used to be. Likewise, you’ll likely be eligible for a discount on your auto insurance. While high-tech equipment can help prevent your car from getting stolen or broken into, there is no replacement for safe habits. 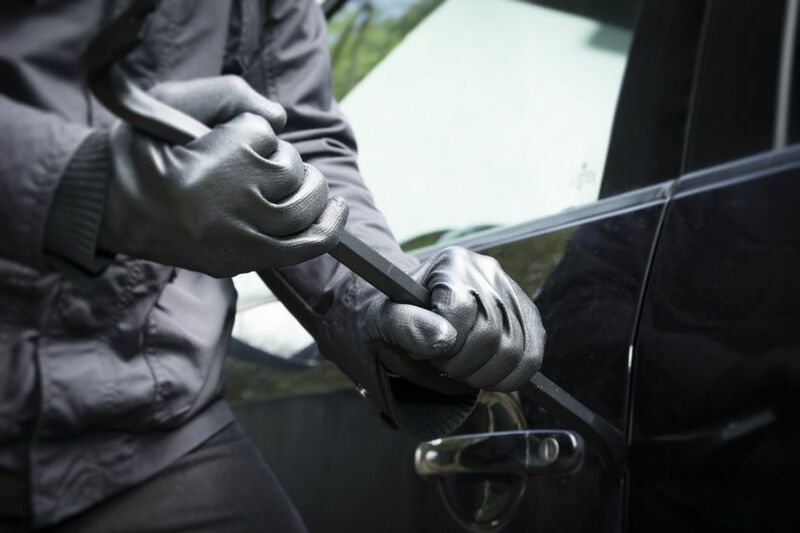 Remembering to always lock your doors, keeping your windows closed and parking in well-lit or secured places help form the first line of defense against car theft. As you add more advanced theft protection to your vehicle, it is important to never forget the basics in the process.